Horizonte is proud to announce the successful opening of Alta Shopping Center in Sarajevo/Bosnia Herzegovina on the last weekend. 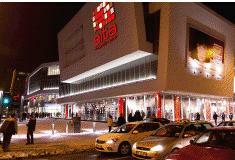 On a total surface of 24,000 m2 Alta offers a wide selection of international renown retail stores in combination with a top-notch catering concept delivering the latest hot cafe and restaurant chains like Vapiano to Sarajevo. The project is a joint initiative between Crow Holdings, US, and Horizonte Venture Management, Austria. “Alta shows that through endurance state-of-the-art projects can be realized successfully in this region despite the current difficult economic environment”, says Dr. Alfred Matzka, Horizonte Partner.